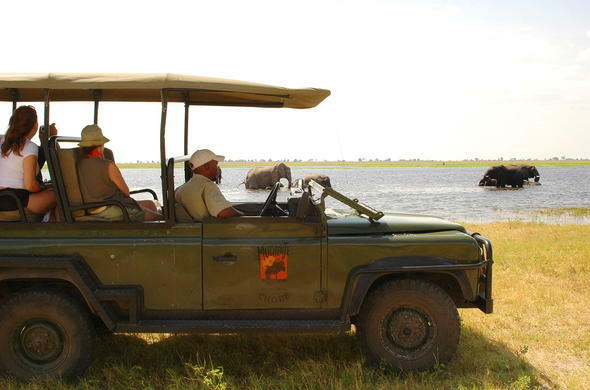 This 3 day Classic Chobe Floodplains Safari Package provides a Chobe safari in Botswana to rival any in Africa. See predator action as well as great Elephant herds and enjoy cultural visits, for an unforgettable safari experience. Iincludes flights ex/to Johannesburg with set departure days. This Chobe Floodplains Experience provides an all in one African Safari package with a range of activities to satisfy any traveller. Staying in a concession on the western edge of the renowned Chobe National Park of Botswana allows for relative freedom in choice of activities. Activities include game drives, night drives, boat cruises and visits to a traditional village, ensuring one of the best all-round African safari holidays. With prolific game and incredible birdlife, the Chobe is renowned as one of Africa's greatest wildlife sanctuaries. 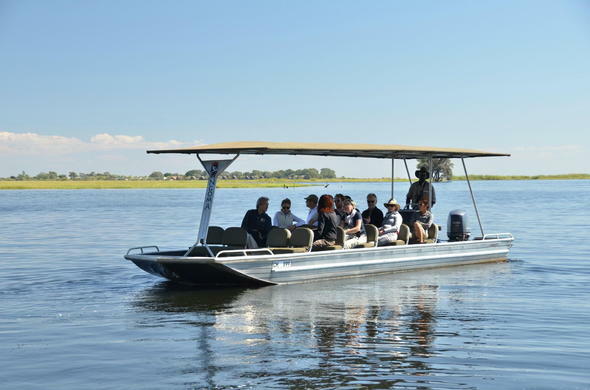 The guides are passionate about the area they live in and will do their utmost to provide an experience that will live forever in the memories of all who choose this Chobe safari for their African holiday. Today you will arrive in Kasane on a flight from Johannesburg. You will be met and transferred to your lodge in Botswana on the western side of the Chobe National Park where you will spend 2 nights. 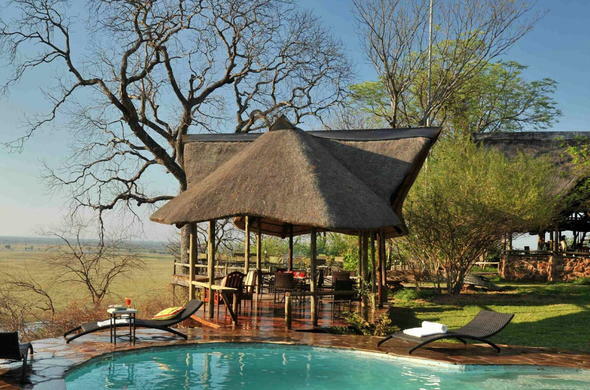 Once you have settled in, you can relax and savour the first day of your Botswana holiday. There will be time for an afternoon activity so you can get to know the sights and sounds of this legendary area. An early morning wake-up call will herald the start of a day of adventure and excitement with prolific wildlife and ancient landscapes providing unforgettable images. The guides know the area intimately and will ensure that they track down the best sightings, enhancing the experience with their in-depth knowledge. There will also be a chance to visit a local village where you can learn little of the culture of Botswana. The afternoon activity will allow you to enjoy more of the incredible sights before sundowners are served overlooking the floodplains. An evening drive by spotlight will show you some of the rarely seen nocturnal creatures of Botswana before you return to the lodge for dinner and stories around the campfire. Enjoy the final day of your Chobe Safari Experience. The guides will ensure a spectacular last morning activity before breakfast back at the lodge. You will be transferred to Kasane for your return flight back to Johannesburg O.R. Tambo International Airport, after what can truly be rated as one of the ultimate African safari experiences. This 3 day Classic Fly-in Chobe package is calculated for 2 guests sharing in en-suite accommodation, all inclusive of meals, scheduled activities and flights ex/to Johannesburg O.R. Tambo Airport with scheduled set departure days Johannesburg to Kasane on Monday, Wednesday, Friday and Sunday and daily departure Maun to Johannesburg. 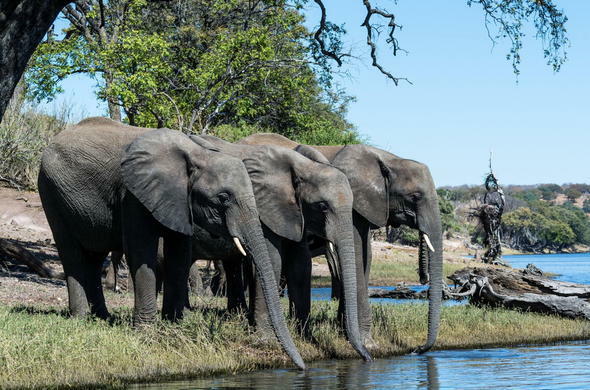 This Botswana package can be also combined with a stay at Livingstone (Victoria Falls - Zambian side) and a Classic Fly-in package to the Okavango Delta. Rates may vary depending on the season and daily currency exchange rate.